Man With A Truck providing budget removalists services to Melbourne. We remain dedicated to delivering complete customer satisfaction at Man With A Truck to all our clients. No matter how many times you do it, the process of moving house is always going to be hard work. There’s so much to organise, from the redirection of mail to the actual physical packing up of the furniture and possessions in your home. Throw your actual day job into the mix, possibly a family as well, and it can be a hectic time. So why not let one of the most reliable moving company take some of that hard work off your plate? No two people or families have the same needs when it comes to furniture or house moving. A first home buyer will have different requirements to an established property owner, while a single person is unlikely to have gathered as much furniture as a family. We understand that your move is unique. 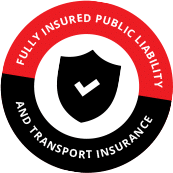 That is why our trained house movers will work with you to customise our moving services to best suit your requirements and budget. We proudly use a fleet of purpose-built trucks for all your home moving needs. Our fleet carries an array of different sized trucks to suit your unique move. 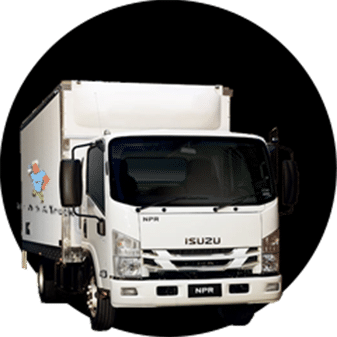 Whether you need a large truck to fit all your family belongings or a small truck to zip through your narrow streets, we have a truck for you. 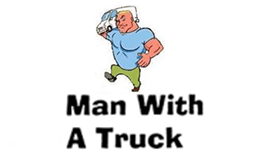 Man With A Truck truck’s are equipped with 3-metre long walk ramps and side and rear doors, our vehicles can accommodate any property with a driveway or off-street parking access. Each truck comes fully equipped with furniture pads, flat straps, furniture specific trolleys, precision moving equipment, shrink wrapping, mattress/couch bags, plasma crates, portable wardrobes, and tools for dismantling and reassembling.